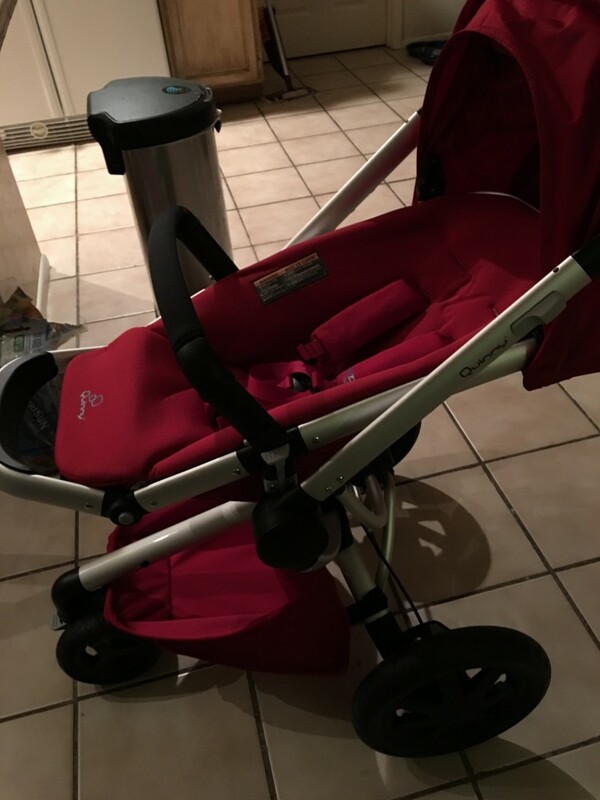 But finding a stroller that is “just right” for everything that I need and want took a while. I am not a runner so a true blue jogging stroller wasn’t particularly what I was looking for (although it would probably be ok). But the trail that I am walking is bumpy, some of it is just dirt/rock trail and of course some grass too. Your standard four wheel walking stroller just wouldn’t cut it. 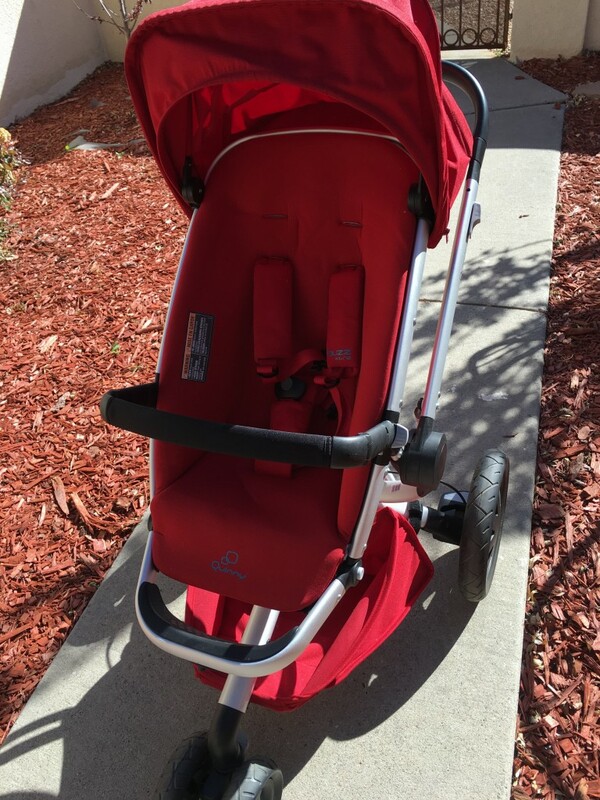 So I was thrilled to partner with Quinny and feature their Buzz Xtra 2.0 Stroller. 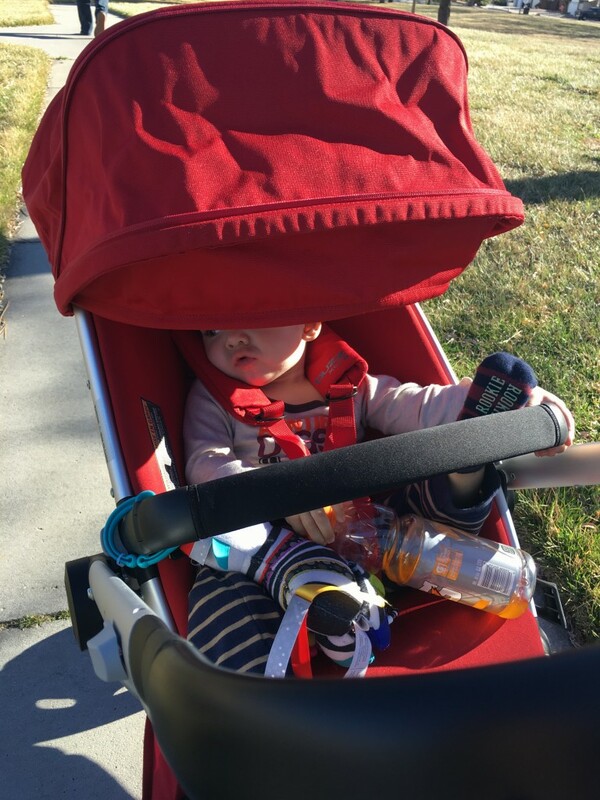 This stroller has some great features that made it perfect for what I needed. Let’s start from the beginning. Unboxing and assembly. Assembly was a bit more complicated than I would have liked. I ended up having my father in law help with that. It took about 15 minutes once we figured out the diagrams. That’s probably my only ‘complaint’ about this stroller. The diagrams could be a lot clearer and with a bit more instruction. Once it is assembled however it is VERY easy to fold up, unfold and maneuver. 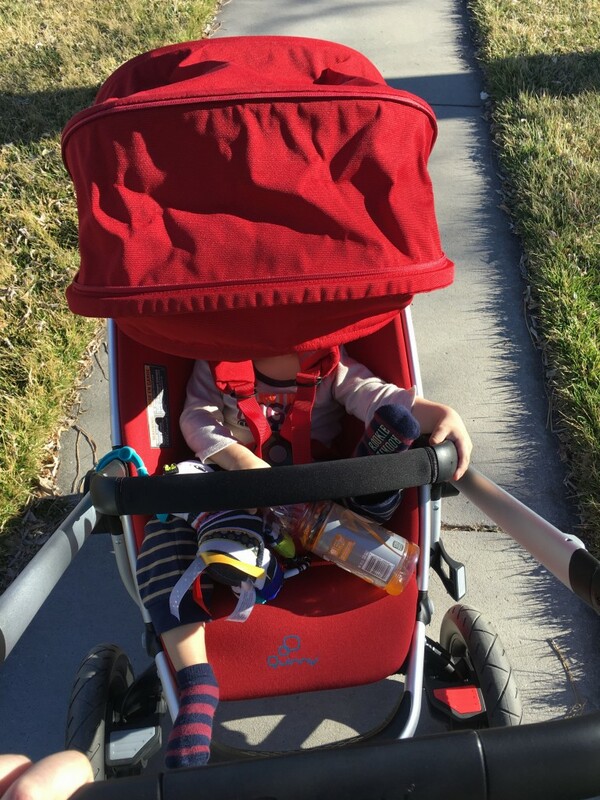 My favorite thing about the stroller is the fact that you can use it forward facing or facing you. When I am out at the zoo or something like that, of course I want Oliver facing out. But if I am walking a trail, I like being able to look at him and prefer him facing me. Not only can you switch it around, but the seat can easily be laid back or sat up. So it works for a little baby or a toddler. In fact it works up to 50lb! To turn the stroller seat around, you just use these little levers on the side of the seat, pull it out and reinsert. EASY. There are locks on all tires too. The front locks up the steering and the back two brake. 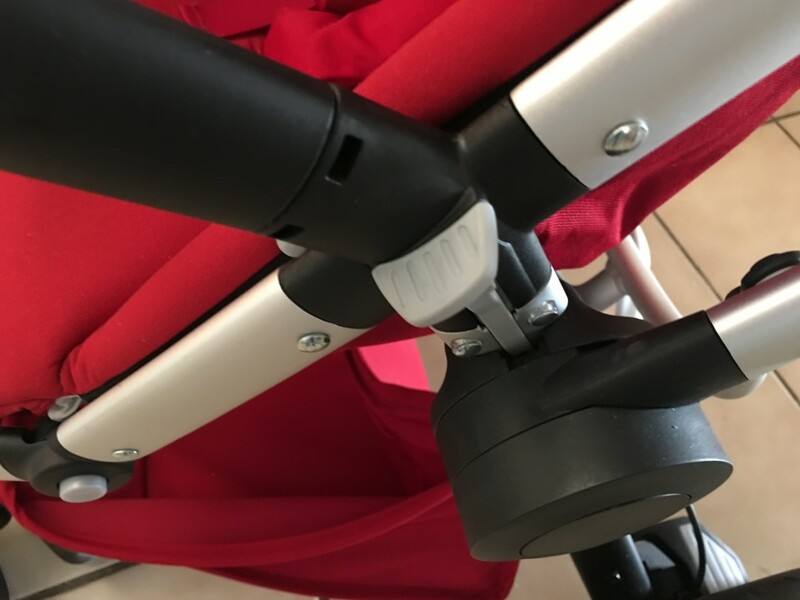 You can just flip them up/down to lock/unlock so the stroller can be stopped to ties shoes, take a short break, whatever without concern of it continuing to roll. Storage. The under carriage is relatively small, there is a bag you can purchase to increase that storage space but in terms of out of the box, it will carry a purse or diaper bag. It needs a cup holder. Those can also be purchased as an addition. Fold up, thankfully is also very easy. You do need two hands to fold it up as you push the levers on both sides and it collapses. To unfold though, you just push the little latch holding it down and there are hydraulics that actually propel it up to full position. Only downfall is that to fold it, you do have to have it positioned in the forward position. The seat itself is very nicely padded with a secure harness style buckle. Oliver seems to love it so far! There is a great foot rest for when he is a bit taller too. The bar across the front is ideal as you can hang a toy or two there to keep him busy. The handle bar is perfect for any height, you can move it higher or lower with one hand. I’m 5′ 6″ and use it in the lowest position but you can easily pull it up to about 6 inches higher too! Steering and all-terrain. 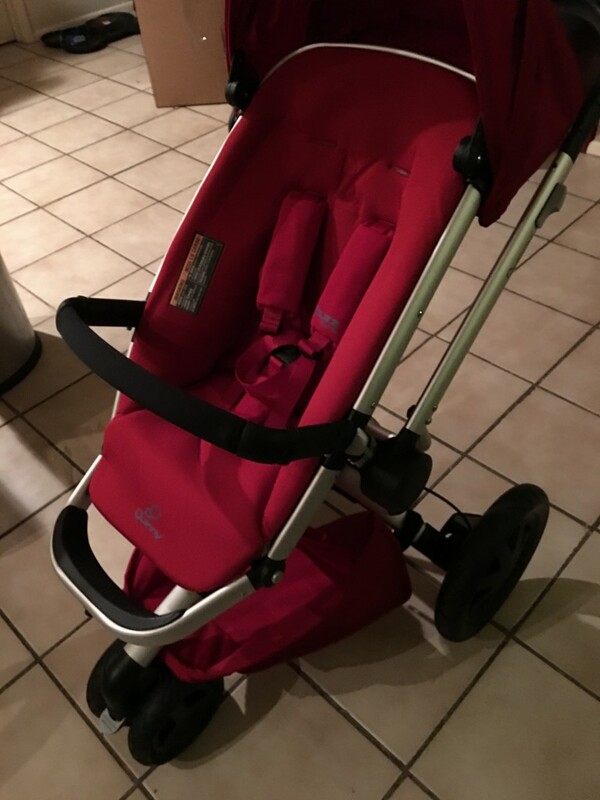 Best stroller I have used, BY FAR. This thing glides over anything, the only time it slowed at all was through a sandy patch, and it only slowed it didn’t stop. Oliver stayed comfy, and it was easy for me to push him, no lifting required. 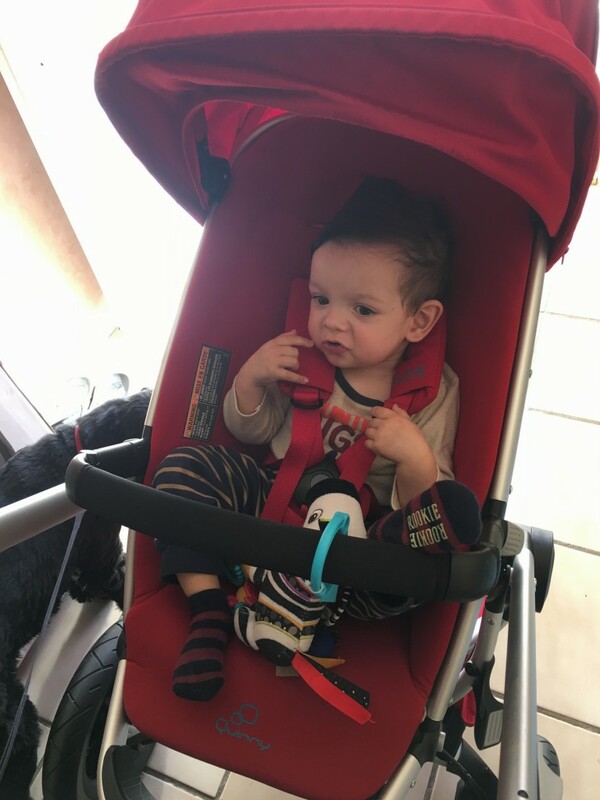 Overall, Oliver and I give it 5 stars and we are looking forward to walking daily with it! You can purchase the Quinny Buzz Xtra 2.0 Stroller on Amazon here.